At Auto Action, our Arizona used cars salesmen are here to help you find the car you need, within your budget. Call 602-345-8000 to talk to our sales team! We know that buying a new car (or new to you), can be an overwhelming experience. 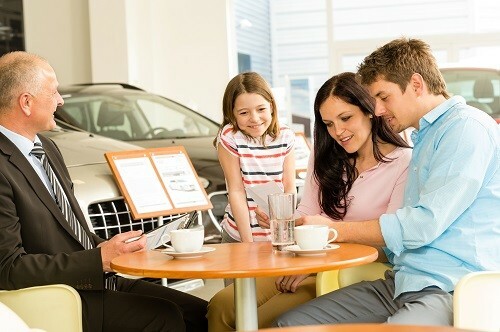 Whether it is the make of the car, model, financing, or dealership there are an abundance of decisions to make. Buying a car is an important investment, and with all of your daily work and home responsibilities you don’t have time for nonsense. Auto Action is here to help you on all fronts. We have locations throughout the greater Phoenix area for your convenience. At each location, we employ knowledgeable and helpful members of our team. What you won’t find is the typical Arizona used cars salesmen. Here are a few types of car dealers that you will never see at one of our locations! When you are trying to buy a new car and have earnest questions, the last thing you want is someone breathing down your neck and throwing random suggestions at you. Worst of all, you don’t want to feel pressured into buying a new car! At Auto Action, we encourage you to take the time and to ask questions about financing or vehicle performance. Shopping for a car is already uncomfortable enough without watching someone painfully try to be your buddy and pretend to know what you are looking for. Friendliness is another thing. Our Auto Action employees strive toward helping you through the process, not by assuming anything about your lifestyle or needs, but to ask you what you are interested in and help you find the right car in your budget. Are sleazy salesmen with cheesy gimmicks still around? This type of salesmen is a little cliche and gives used car salesmen a bad rap. We don’t want to sell you an overpriced car on its last legs. We want to sell you a car that has a clear history and will help get to where you need to go. When you buy a car with us, you become a part of the AA Advantage Program that offers a worry-free limited warranty with 12 month/12,000 mile vehicle coverage, one year free oil changes, Total Loss Protection, and the secure feeling knowing that your vehicle is equipped with an anti-theft device. To find a location near you, check out our locations map with contact information.